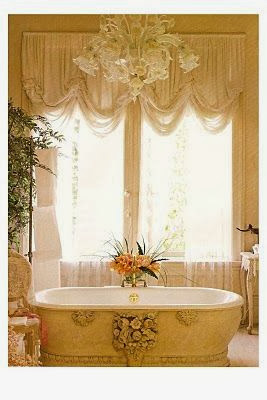 This bathtub design looks like it belongs in Chateau Versailles. It would be perfect for one of my friends, she would go gaga over this tub. Her condo is decorated with ornately carved furniture, candles everywhere and she hasn't met a crystal chandelier that she doesn't love.